Previous year was a surprisingly productive for software developers. But how does the future of frontend look like? 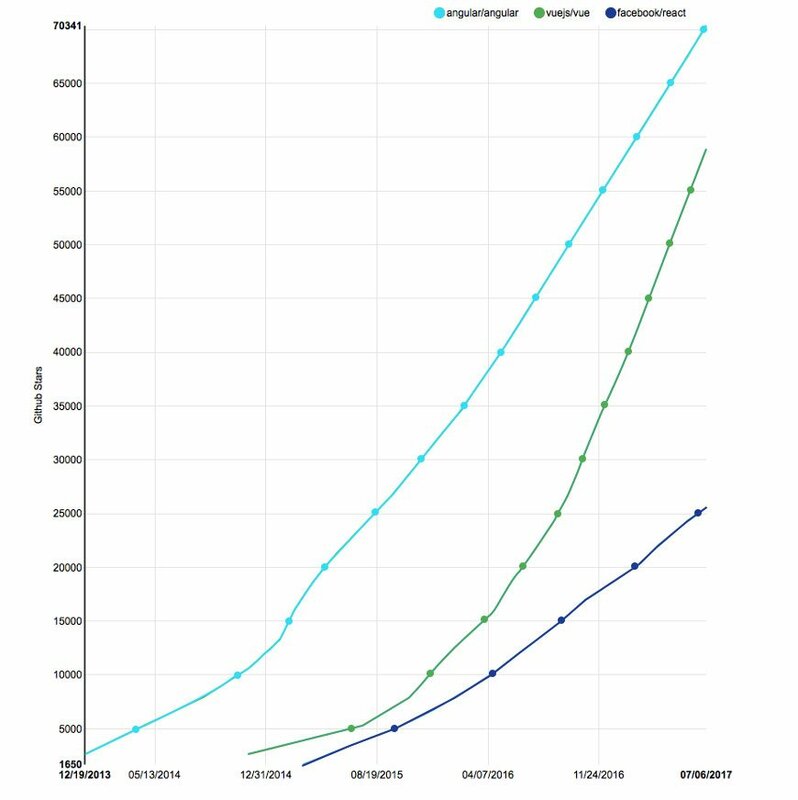 The growth is IT sphere is tremendous and sees no sign of slowing down. Using latest frontend frameworks and implementing the latest technology trends in the industry is the key to unlock true potential of online brand identity. Web app development companies are receiving high demands from businesses that look forward to establishing unique presence in the World Wide Web. While the much popular frameworks of React and Angular enjoy the large scale support of developer community, some new entries like Vue have managed to capture the attention with its superior features. Webpack is still the preferred tool and NPM the desirable system. Advancements in WebAssembly have opened up its usability and introduction of GraphQL are revolutionizing the way APIs are written and used in different web applications. 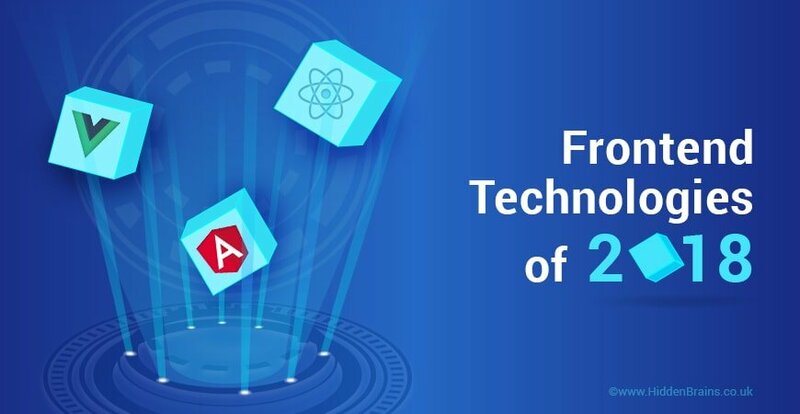 Let’s take a look at major Frontend Development Trends that every programmer needs to watch for in order to deliver work as per current market standards. 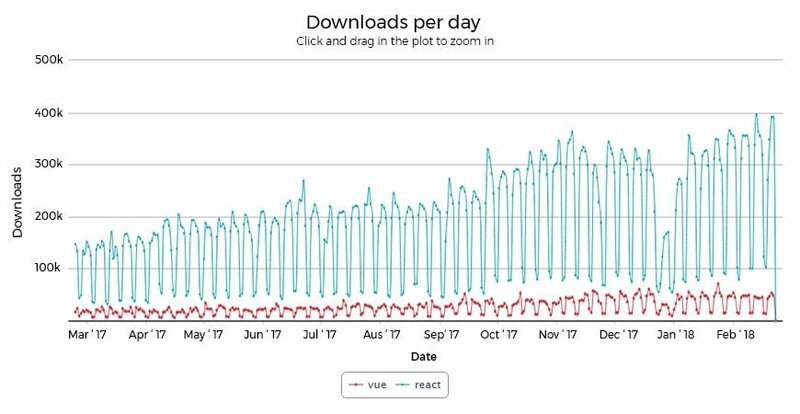 2017 was a remarkable year for Vue.js. In just 2 years of inception, this framework topped the list of front-end tech tools. Vue.js provides an extremely flexible working environment for building high-end frontends. This means that developers can write code with minimal possibility of committing errors. Evan You, Founder at Vue Technology LLC previously worked with Angular technology. That was when he came across tedious process for creating UI. This triggered him to build a frontend solution with minimal entrance threshold and Vue.js is the end result of his effort. Vue.js support for declarative rendering, two-way data binding, asynchronous DOM updates, strict adherence to web component specifications and simple integration with HTML templates are main reasons for quick adoption of this technology. The release of React 16 in September 2017 was a big surprise for all frontend developers. This framework is one of its kinds that handle errors in better way, allows adding fragments, streaming of server-side rendered apps. What’s new in React is that it is now following RFC process for contributing ideas to the React team. Any individual can submit RFC proposal that mark changes to React API. The very first context change was proposed by React team itself, which is worth reading. The community is now oriented towards developing something similar to React app that are more complex in nature. The main highlight of Angular is that the application built using this framework can be divided into two major components – frontend and business logic. Thriving in the Model-View-View-Model (MVVM), Angular is suitable for the creation of such systematic application. It supports integration with major third-party libraries. All 3 New trends in technologies discussed in this blog has their own perks and see a bright future in 2018. Lastly, the choice of frontend framework depends upon the project requirement, type of application to be built and last but not the least, the technology developer is comfortable working with. Hidden Brains is a leading web application development company housing professionals that are experts in Angular, React and Vue frameworks. Clients can either hire these professionals part-time, full-time or hourly basis or completely handover the work to the company who works on it from the scratch. If you expect good quality work in less time frame and desire to get expected results, Hidden Brains is the right choice! For your frontend development requirements, get in touch with our experts. Thanks for sharing your thoughts on Latest Technology Trends. i enjoy to gaikn knowledge oof mopre and more.